A short-term financial goal is something you can complete and reach relatively quickly, for example within a year. There are a number of items you could pick as a short-term goal, but it's a good idea to limit that number to a few that are important to you. Setting and reaching short-term money goals is a good steppingstone to start on longer-term goals that could make a big difference in your life. Pick one of your credit card balances and make a plan to pay it off in a year or less. If you are in the habit of making the minimum payment, you will end up paying for years, including a lot of interest to the credit card company. This is a goal to break that habit. If you run balances on several cards, use the smallest balance as a short-term goal, pay it off as quickly as possible and then on to the next. The medium-to-longer term goal could be to pay off all of your debt except for car and house payments. A follow-on or side goal to paying off your credit cards is to set goals to save for things you want to buy instead of pulling out the plastic. This goal will be something you personally want to save for and could be anything, including electronic equipment, a vacation or the down payment for a new car. Saving for an item rather than buying with a credit card can result in buying just the things you really want and not spending money on something where you later regret the purchase. A widely given recommendation from financial experts that is often ignored is having an emergency fund. 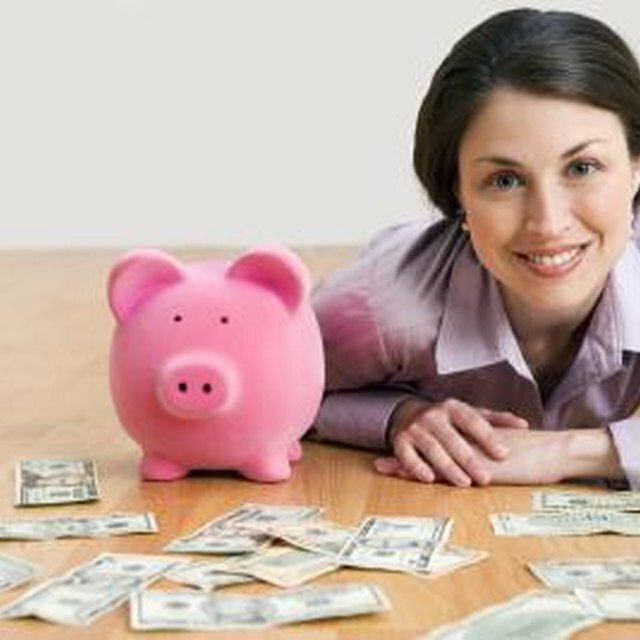 This is cash savings equal to three to six months of your regular expenses. It is a worthwhile short-term goal to save up an emergency fund. Once you have the knowledge that you have money in the bank in case of an emergency or major expense, it gets easier to start to work toward your other long- and short-term financial goals. Sometimes it may take a short-term goal to kick-start a longer-term financial dream or goal. For example, the mutual fund you want to invest in has a $3,000 minimum initial investment. Once you have saved the $3,000 and opened an account you can add to it in $100 increments, building wealth for the long term. Other short- to long-term goals could be saving enough to open a stock brokerage or futures trading account.